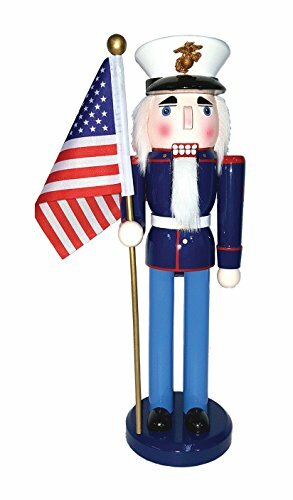 This 14" nutcracker is marine proud. He is dressed in his dress blues. He has on his hat which features the Marine's emblem in the center. He is holding the American flag and stands on a dark blue, round base.